Suzy Whaley is one of the most powerful—and knowledgeable—people in golf. She’s also one of the busiest. The director of instruction at the Country Club at Mirasol in Palm Beach Gardens, Fla., doubles as the first female president of the PGA of America and, starting this year, is the latest addition to GOLF’s Top 100 Teachers list. Whaley, 52, is the rare breed with a 360-degree take on golf’s present and future. Trust us: When Suzy talks, people listen. Luke Kerr-Dineen: First things first. How’s life in the new role at Mirasol? Suzy Whaley: Busy! Though, of course, everyone’s busy. 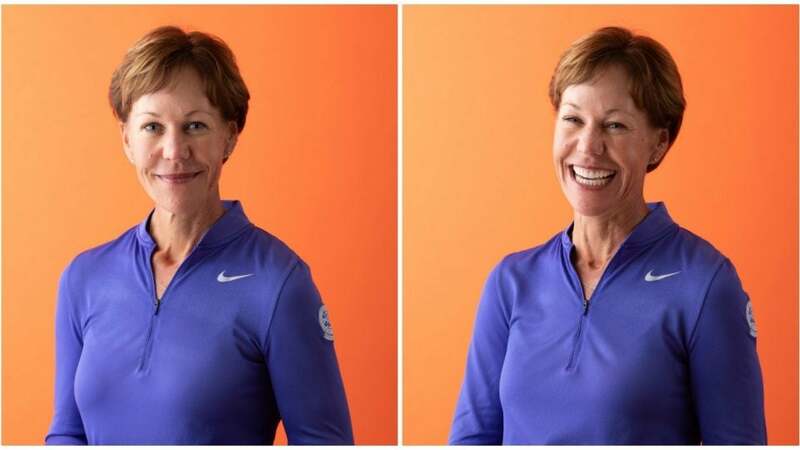 I settled in the Palm Beach area because I noticed my ability to coach and teach exclusively up north [Whaley has spent the bulk of her playing and teaching career in Connecticut] getting smaller and smaller based on my travel requirements for the PGA of America. I love being back full-time, engaged with students and working on the lesson tee. It’s a place I cherish, and coming to Mirasol allows me more time in the winter to do that. I absolutely love it, but my time management is being tested. Luke Kerr-Dineen: How do you find enough hours in the day to fit everything in? Suzy Whaley: I get up at 5 a.m. every day and get as much work done before I, well, head off to work. That sounds funny, but it’s true. When I come home in the evening, I’musually preparing for my various speaking engagements and working on my media obligations. Every day is a lesson in prioritization. When I’m at Mirasol, I’m fully attentive. If I’m doing PGA business, that’s what I’m laser-focused on. And if I’m with my family, it’s important that I’m fully present with them. It’s critical that I manage the balance, because I’d be lying if I said there aren’t certain times when I want to spend more time in one role—be it coach, leader or wife/mother—than the others. The key, really, is to surround yourself with supportive people who you can trust and who can help you. You never do things like this by yourself. A good coach understands that hitting the ball well and hitting it poorly are both teachable moments. Luke Kerr-Dineen: We’re curious—how has golf prepared you for this moment? 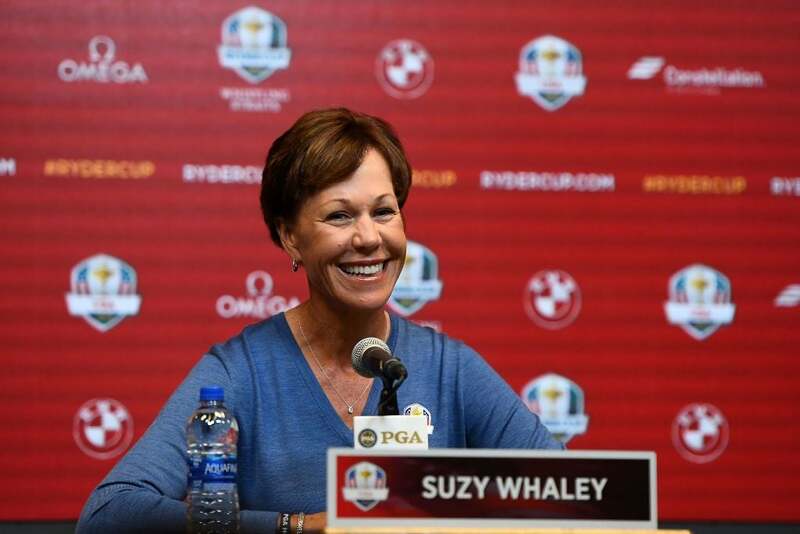 Suzy Whaley: Sports in general, and golf in particular, have helped me so much. You learn to understand what you can and can’t handle. I’ve competed on both the LPGA Tour and in an event on the PGA Tour. I’m not afraid to step out of my comfort zone and take risks, or to compete at the highest level. These are all learning opportunities, whether it’s how to better handle pressure or how to connect with people, or understanding what it takes to be part of a team and create behavioral change. Sports help facilitate the improvement of all of these skills. Luke Kerr-Dineen: You’re a leader at the highest level of the game and a new member of GOLF’s Top 100 Teachers in America. What makes a great golf coach? Suzy Whaley: Golf used to be very transactional. Students would pay for a 40- or 60-minute lesson, and that was it. Now we’re trending toward longer-lasting player/coach relationships. Golfers need to feel like they have a partner on their journey. Building relationships is just as important as building better technique. Coaching is far greater than spouting mechanical skills. The best coaches I know are the ones who can elicit behavioral change. They’re the ones who know their players’ swings and practice habits. They use psychology, and they work with students on a personal and emotional level. That connection has to be tangible. Luke Kerr-Dineen: That seems like a mindset that could better ease new players into the game, considering how difficult golf is to pick up right off the bat. Suzy Whaley: It is. Mentorship is a powerful thing. When I first started coaching, I’d panic right alongside my players. I couldn’t bear to leave them if they were struggling. I think it’s pretty normal for a young teacher to do this, to simply throw any and all information you have at your students and pray that they hit the ball straight. But the player feels your anxiety. Now, much of my focus is on helping them enjoy the journey and to embrace the learning process. A good coach understands that hitting the ball well and hitting it poorly are both teachable moments. A good coach lets you do it wrong, because it accelerates your ability to understand why you’re doing it wrong. A good coach shares one or two small points a session and puts in motion the player’s ability to self-build and embrace the challenge. Luke Kerr-Dineen: Looking ahead, how do you see golf changing, especially among junior golfers? Suzy Whaley: Title IX has been great for golf, because it helped create an influx of young women into the game. It’s been so exciting to be able to provide young women with that kind of opportunity. But the biggest thing I see is how fast and strong so many of these junior golfers are. They understand how important it is. When I have a young student, I work incredibly hard to help them develop distance. Clubhead speed is my No. 1 priority, no matter the player’s gender. There’s no getting around the fact that the modern game is a power game. Luke Kerr-Dineen: Speed really is king these days. Suzy Whaley: No doubt. Listen, a good coach can always get a student to get the ball going in the right direction. That’s the easy part. Speed is much harder to teach. But it’s hardly the only thing. Over time I’ll work with students to make sure their swing path and plane match their body style. (This is so important. Often I see a parent who may be 6’5” teach their 5’ child to swing the same way they do. That’s madness! It’ll never work!) Once we have the swing/body match in place and have developed a solid foundation for clubhead speed, I typically start teaching students to slow down and really dial-in the basics. At the end of the day, going a little slower can actually help you hit the ball farther.